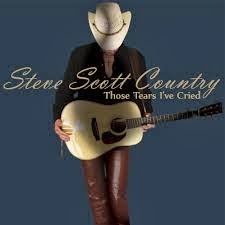 THOSE TEARS I’VE CRIED by Steve Scott Country is an intriguing release which succeeds in both striving to conform and challenge convention. With a very slick presentation and set up, Steve seems to have a firm idea of where he is heading .The radio friendly vibes which Steve does not hide as an intended influence are prevalent across the record and the themes will resonate with many. You get the impression that Steve is a highly focussed and principled person and there is sufficient merit in the record to buy into what he is trying to achieve. 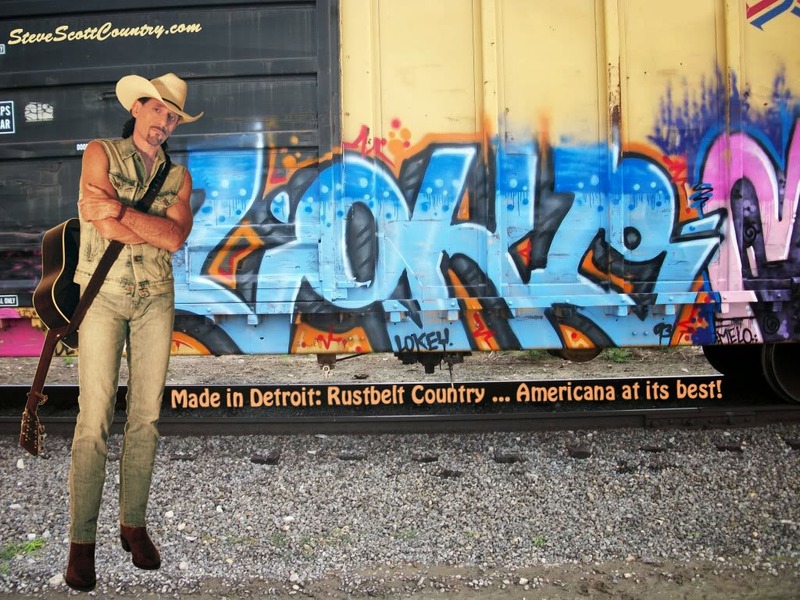 The slogans and hyperbole liberally frequent his online profile and they are not too far from the mark in suggesting that Steve Scott is attempting to marry the ideals of country music with the more urban sounds of Detroit Michigan. Certainly many bases are covered throughout the eleven tracks which make up Steve’s sophomore solo release, One concern is whether there is enough country in it for that genre or being suitably progressive enough for the wider Americana movement. Perhaps the best way to enjoy the record is to lap up its multifaceted approach to music making and the styles it touches regardless of the purist response. The hat image and country addition to his name will add weight to recognition in that genre but it is much better focusing on the excellent sentimental ballad ‘Halo’ which is a pure country home style song and is my favourite track on the album. The title track ‘Those Tears I’ve Cried’ follows in a similar vein with a steel-driven mellow sound in contrast to the plethora of pop/rock which decorates a fair proportion of the album including the aesthetically pleasing opener ‘I Think About You’. Any link to the sounds of Detroit will inevitably lead to soul and there are a couple of tracks leaning in this direction. ‘Thoughts About Fire’ and ‘Geronimo’ fall into this category with the latter fuelled by some spicy soulful keyboard solos. There is a nagging urge on two of the tracks namely ‘Lorra’ and ‘Hide and Seek’ to conjure up thoughts of the Red Hot Chili Peppers in Steve’s vocal style and both songs have a rock feel to their structure although the latter features a dose of mandolin. The most diverse track on the album is when it veers thousands of miles south to the Mexican border with ‘Teqilarama’ where the contribution of trumpet adds considerably to the Tex-Mex sound. All eleven tracks have emanated from the pen of Steve,with two of the compositions likely to have more appeal in the home market. ‘She’s Made In The USA’ is one such track and definitely resides in the pop/rock category while the emotional ‘Have You Ever Known A Soldier’ is the centrepiece of Steve’s cause of raising awareness for a captured US soldier and his wider military appreciation. Extended plays of THOSE TEARS I’VE CRIED are probably required to get to the gist of what this album is about and each listen is an increasingly enjoyable experience. There is likely to be enthusiasm for it from a wide base of music lovers and that is a credit to Steve's ability to craft an album that will appeal to many.